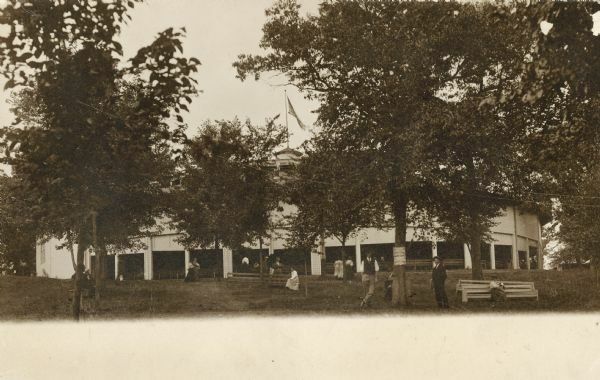 An exterior view of people sitting and standing outside of the Monona Lake Assembly Auditorium, which is partially obscured by trees. Designed by Morrison H. Vail of Chicago, built in 1900 by John H. Starck Co., John H. Findorff, vice-president. Torn down in 1943.